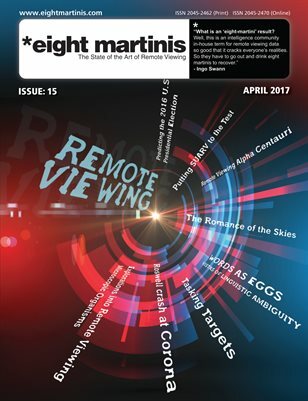 The Remote viewing news round-up 15 feb, 2013. AstroZen – 13 feb, 2013. New focal point practice target up for IRVA members. “FOCAL POINT target list is not the average remote viewing discussion group. It is available to IRVA members who wish to actively remote view new targets, post their sessions to the list, and participate in group discussions about those results. A new target will be posted to the list every two weeks. After two weeks, the target feedback will be provided, and the list members can upload their sessions and discuss the results. Targets selected will not involve any disturbing or controversial subject matter, and are appropriate for all skill levels. All remote viewing methodologies and skill levels are welcome”. PreviousPrevious post:Remote viewing news round-up for this week ending 24 feb, 2013NextNext post:Did Remote Viewing from 2008 predict the Russian Meteor Event of feb 2013?